I often have lazy afternoons on weekends, and this one day I was not only lazy, I was starving! So, we decided to venture to 4th Street and see what kind of food we could find for lunch. 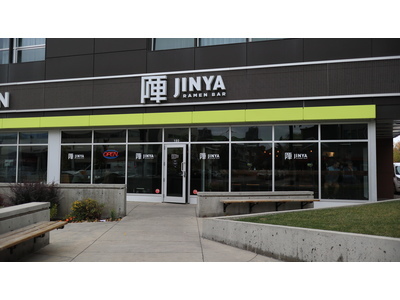 We parked the car and we knew of Jinya Ramen Bar and figured if it’s too busy, we’ll go try elsewhere. 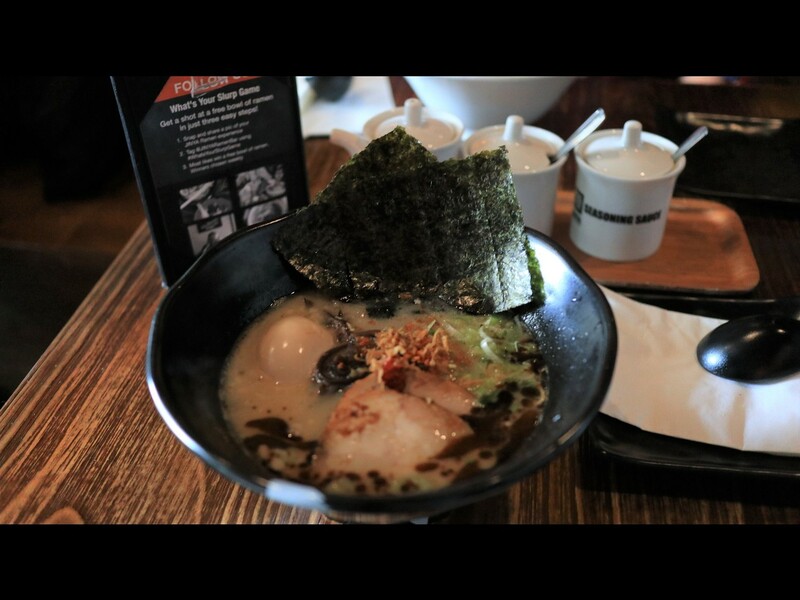 To my delight, we got seated within 10 minutes and I was really excited as I love ramen! I decided right away that I was going to have a bowl of Tonkotsu Ramen which is one that I order a lot. I like to think of it as a “signature ramen” for any ramen place. 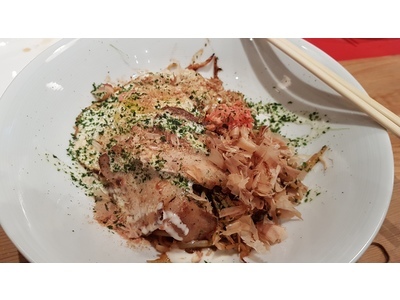 When the bowl of ramen came out, it was large portion sizes, sizzling hot and there was a sign that says to enjoy by stirring up the bottom to the top. I did! It was great! The other bowl of ramen we ordrerd was their Unami Miso Ramen and the bowl of ramen was amazing and if you ate all the noodles, you can ask for more noodles and they’ll add it to your broth for a small charge! What a fantastic idea! 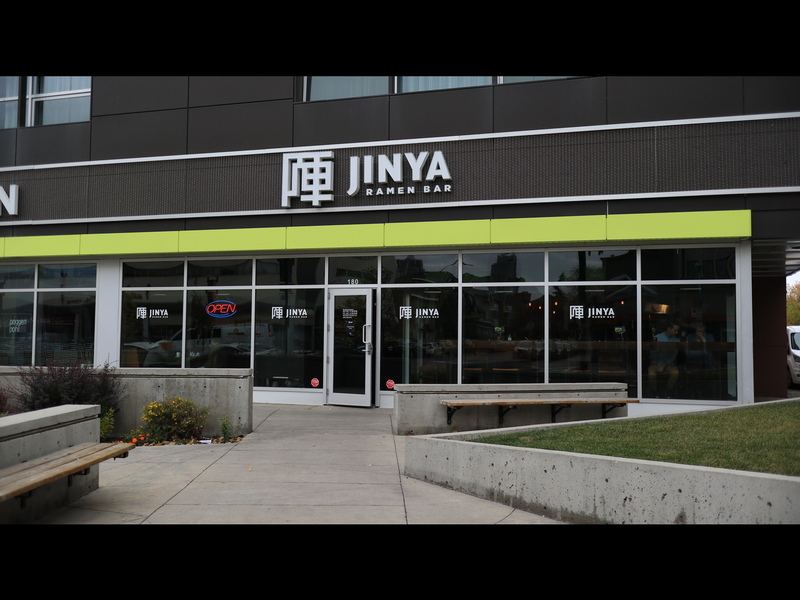 We really enjoyed our Ramen here and it’s a great place to go for it, especially for it being in Calgary! 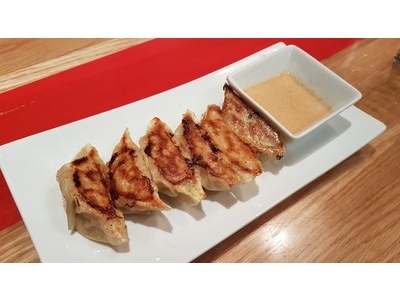 The food was tasty, the service was prompt and amazing and the prices were extremely fair! 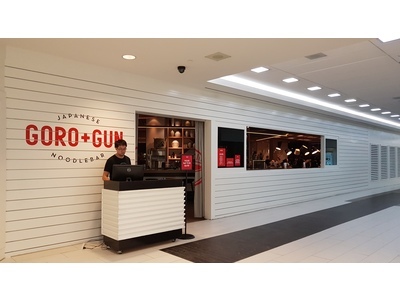 I go to Stephen Avenue maybe a few times a year and I’ve been going there when Goro + Gun is closed, but this one time I finally made it there! Just as I was done and leaving the mall, I saw it was opened and had to go in. This was just a light lunch or snack as I wasn’t intending to eat at this hour, but we started with their Gyoza’s mainly because the people next to us had some and they looked amazing. When ours came to the table, I was right!! The skin was thin, the filling was tasty, and I didn’t really use their sauce at all. Their blend of pork filling and spices was perfect and the sesame vinaigrette was delicious as well even though I thought it wasn’t necessary. We ordered 2 noodle dishes that were quite different. 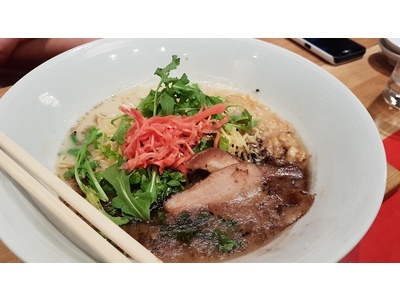 We ordered their Tonkotsu Ramen that was filled with a generous portion of ramen, topped with some BBQ Pork Belly and my favourite, red ginger! 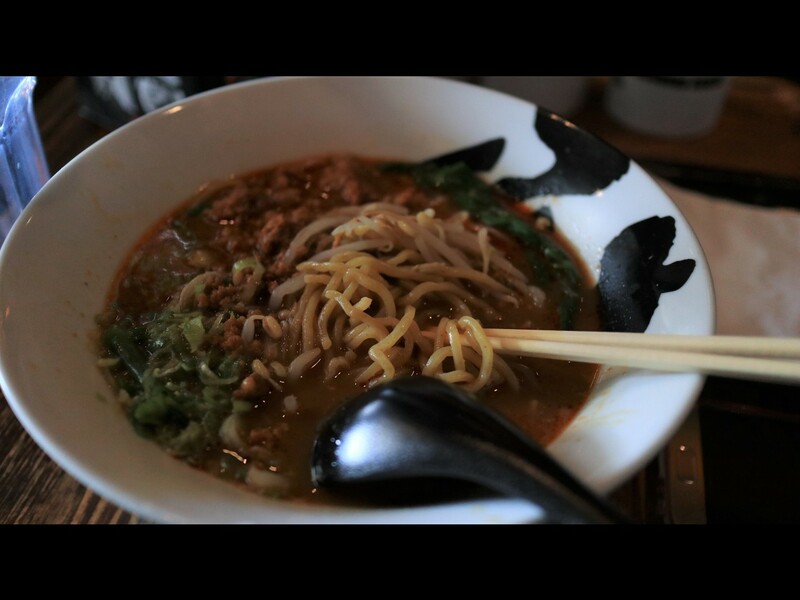 All this amazing bowl of ramen was warmed by a perfect blend of their pork broth. The other noodle dish we ordered was their Yakisoba which was their brothless noodles with BBQ pork belly, sunny side egg, green cabbage, bean sprouts, red ginger, bonito flakes! This is definitely different from any yakisoba from a food court as this was amazingly delicious! At the end of the day, I’m really glad we decided to spontaneously stop in here and have some noodles! We already paid for parking, so why not!